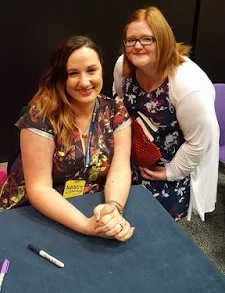 UK Blog Tour for The Faerie Ring by Kiki Hamilton- Character Profile! Physical Description: Petite, long dark hair, creamy skin, green eyes, "like the hills of Ireland," as Mr. Potts would say. Has a birthmark on her left wrist that is a tangle of black lines. She's been told it is an fainne si which means "the faerie ring". Background: Grew up in a middle class home, her father was a barrister, her mother stayed at home and volunteered. No siblings. As a family, they liked to take long walks in the park, play chess and read faerie stories. Her parents died of consumption in 1869 and Tiki was sent to live with her aunt and uncle. Her uncle, however, was evil and Tiki ran for her life. At King's Cross, alone and penniless, someone stole her luggage, leaving her with nothing. A young girl named Fiona, takes pity on her and shows her how to pick a pocket, eventually talking Tiki back to Charing Cross to live with her and her cousin, Shamus. Who she lives with: Tiki lives with Fiona, 15, Shamus, 17, Toots, 10 and Clara, 4. All are orphans who have been abandoned by their families for various reasons. Where she lives: In an abandoned clockmaker's shop next to Charing Cross station. Likes: Tiki likes to read, and borrows books from Mr. Potts, an old man who owns a bookshop in Charing Cross. She is teaching Toots to read , though he's fighting her :) She likes to be outside and often walks though the parks near Charing Cross. Though she doesn't get it often, Tiki loves chocolate. Dislikes: Anyone telling her what to do. And black olives. Mysteries: Rieker, another pickpocket, who typically works King's Cross in the West End is suddenly paying an unusual amount of attention to her. At first Tiki suspects he wants to hedge into her territory, then she worries it's something more. A blond girl keeps appearing around Tiki, but she doesn't know who she is and why. "Debut novelist Kiki Hamilton takes readers from the gritty slums and glittering ballrooms of Victorian London to the beguiling but menacing Otherworld of the Fey in this spellbinding tale of romance, suspense, and danger. Prince, pauper, and thief—all must work together to secure the treaty… "
Come back on the 22nd where I will have a review of The Faerie Ring along with a swag giveaway! 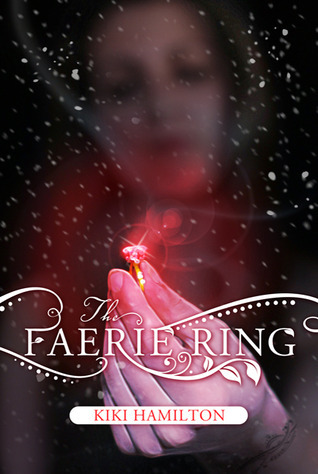 Next stop is on Belle Books tomorrow with a review on The Faerie Ring!